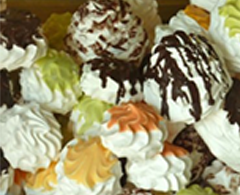 Delicious Expeditions would like to introduce you to the pleasures of the Italian countryside. Il Bareto, our accommodations for the week, is the perfect gateway to the cultural and sensuous pleasures of Tuscany. Located outside the medieval town of Siena, this 17th-century farmhouse offers comfort as well as spectacular views, including Celsa castle, which is perched on a hill across the meadow. The delightful grounds and pool area offer a place to stroll, relax and dine al fresco. 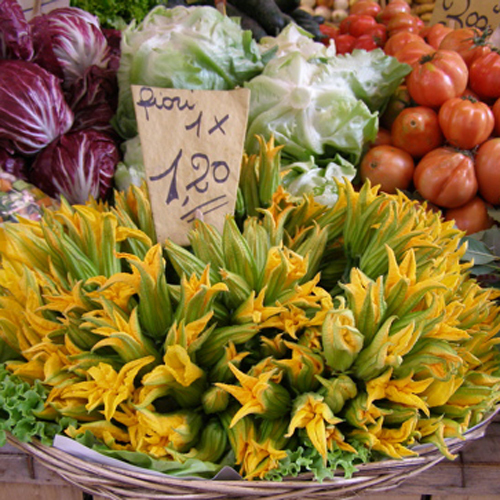 Our Italian culinary journey will focus on seasonal Tuscan cooking. When not exploring ancient villages and local markets, make delicious meals alongside chefs from the Dante Alighieri Culinary Institute. Whether you love to be in the kitchen or prefer to sightsee and shop, our Delicious Expedition to Tuscany will exceed your expectations. Included in the Tuscany cooking vacation are 7 nights accommodations at il Bareto, all ground transportation after arriving at the Siena train station, all group activities, cooking classes, and meals listed on the itinerary. Read our testimonials and see for yourself that Delicious Expeditions are journeys of a lifetime! 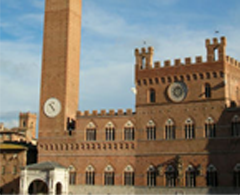 We'll meet in the afternoon at the Siena train station and drive to il Bareto to settle in. 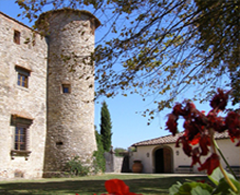 Enjoy a glass of wine on the veranda while taking in the spectacular view of Celsa castle. Dinner with neighbors featuring products from their Cinta Sienese farm. We’re off to the historic city of Siena for a guided walking tour. Followed by free time to wander the narrow, medieval streets and lunch on your own. Evening cooking class featuring Tuscany's own pasta--Pici, as well as Lemon Scallopini and Panna Cotta. 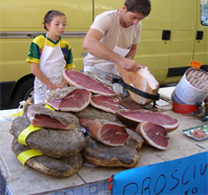 We'll explore the Chianti region, visiting the picturesque village of Greve and the salume shop, Antica Macelleria Falorni. Lunch with Dario, the famous Dante-quoting butcher of Panzano, where we'll have a 6-course beef tasting menu. Afternoon wine tasting at Castello della Paneretta. We’re off to Gaiole in Chianti for a cooking class of local Tuscan fare at the 11th century abbey of Badia di Coltibuono. 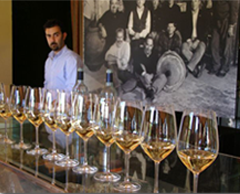 After lunch, wander the walled town of Radda and visit Castello di Brolio, Italy's largest wine producer. Market Day cooking clas in the town of Colli di Val D'elsa. We’ll head to the old Roman baths of Bagni Vignoli, followed by Pienza, a village famous its beauty and pecorino cheese. Trattoria lunch. Then off to the wine town of Montepulciano for a tasting as well as free time to discover the winding streets and shops. Cheese tasting at a local farm. 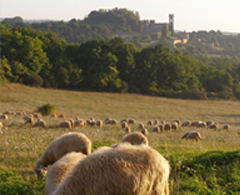 We'll visit the fabled town of San Gimignano with a guided tour by a local art historian. Trattoria lunch followed by gelato from the town's own award winning producer. Afternoon cooking class and farewell dinner at il Bareto. In the morning. we depart our beautiful Tuscan farmhouse and return to the Siena train station for connections to either Florence or Rome.